Essaouira is a charming coastal city: welcoming and laidback, with a touch of the mystical. It’s a perfect place for a three-day getaway from the UK. Read on for our suggested itinerary on how to make the most of it. Start your day down by the sea. Essaouira has been a working port for centuries, and to this day fishermen haul their catch back daily in their famous wooden blue boats. It’s quite a sight, with crafts arriving and departing at all hours, nets being mended and new boats being made. You can also visit the fish auction at the market hall next to the port gates and see all the varieties of fish, crustaceans and squid for sale. Pick your favourite and take it to one of the family-run stalls nearby to have it grilled and served to you there and then. In the afternoon, head to the beach for one of Essaouira’s big draws: watersports. The combination of constant winds and excellent waters make Essaouira one of the top destinations in the world for windsurfing and kitesurfing. Along the beachfront there are plenty of schools that offer lessons and equipment hire, so it’s easy to get out on the waves, whether you’re an experienced boarder or someone who has never touched a sail before. If you’d prefer to keep your feet dry, then why not go horse riding instead? Again, there are several businesses which offer a wide choice of itineraries, taking you along the beach, between the dunes and even out into the surrounding countryside. On your second day it’s time to explore the medina. Enter this UNESCO World Heritage site through one of the five impressive main gates and enjoy the car-free environment. It’s easier to navigate than many of its counterparts; a central street runs directly from the north gate to the main square, with narrow streets and alleyways leading off it. 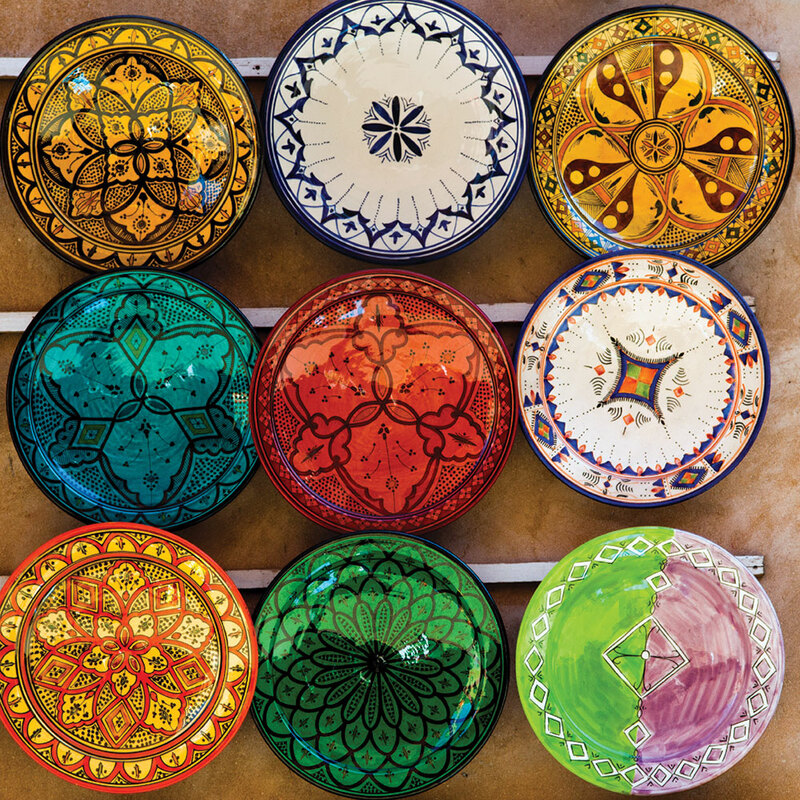 Follow one of these and you’ll soon be immersed in the sounds, colours and scents of the souks, where you can buy any number of goods and souvenirs. The medina holds more than souks too. There are over a dozen mosques, including the Sidi Mohamed ben Abdellah mosque, which was built when modern Essaouira was founded in 1764. 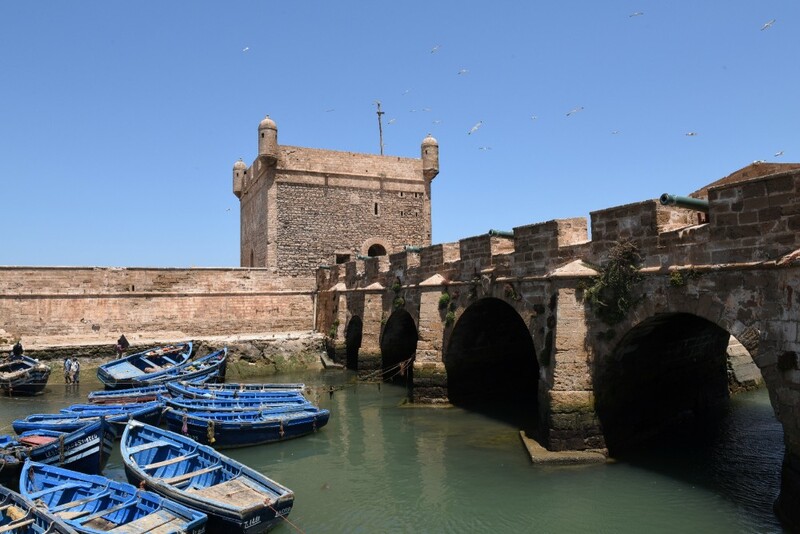 A museum named after the Sultan can also be found in the medina: the Sidi Mohammed ben Abdallah Museum is housed in a 19th century mansion, and displays artefacts and exhibits from Essaouira’s history. 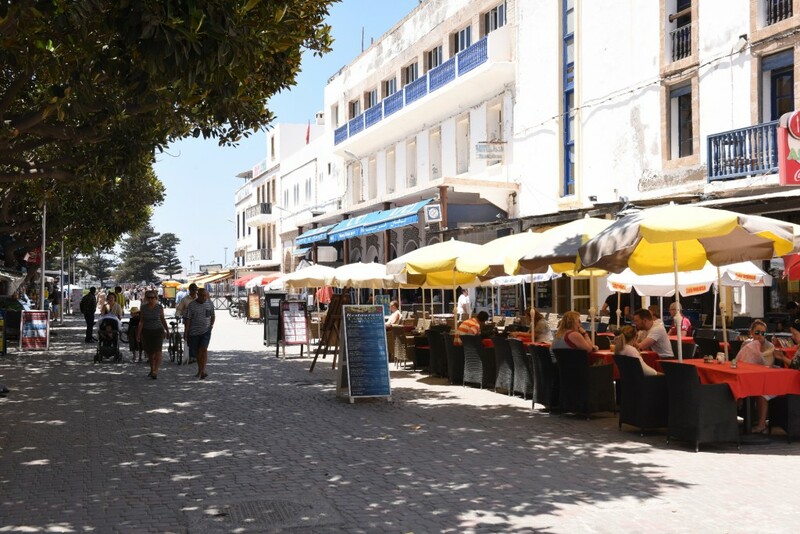 In the evening treat yourself to a meal at one of the many fine restaurants in Essaouira and enjoy a night out at one of the clubs, music venues or theatres that you can find in the town. It’s back out to the seafront today, for a tour of the coastal ramparts. These massive fortifications were built by the Portuguese, and many of the cannons that were used here can still be seen. Visit the Skala du Port for picturesque views over the town and out to the Isle of Mogador, and see if you can spot where parts of Game of Thrones were filmed. Make sure you have plenty of space on your camera! To finish your trip to Essaouira why not enjoy some pampering time? It’s not a trip to Morocco unless you’ve tried a traditional hammam. These wellness centres combine steam rooms with massage, exfoliation and the application of 100% natural products including essential oils and Rhassoul clay. Or what about harnessing the healing properties of the Atlantic Ocean with some thalassotherapy? Both treatments are available across the town and are a good way to treat yourself before your flight home.